Sometimes, it can be difficult to cook for just one person as lots of recipes online and in cook books are so communal. As fun as cooking for several people is, sometimes you just want to cook something for yourself rather than waiting for other people lol, whatever the circumstances may be. 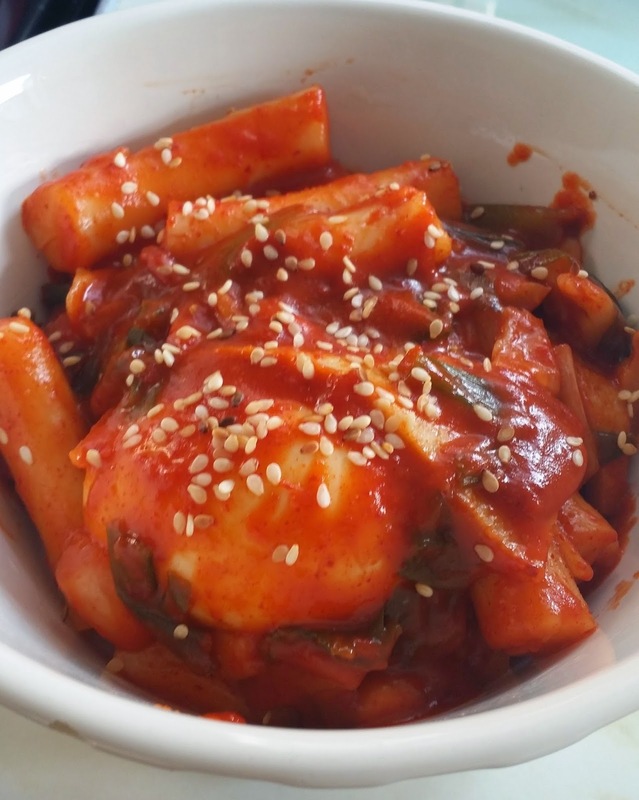 So I wanted to post this recipe for Ddeokbokki for 1. 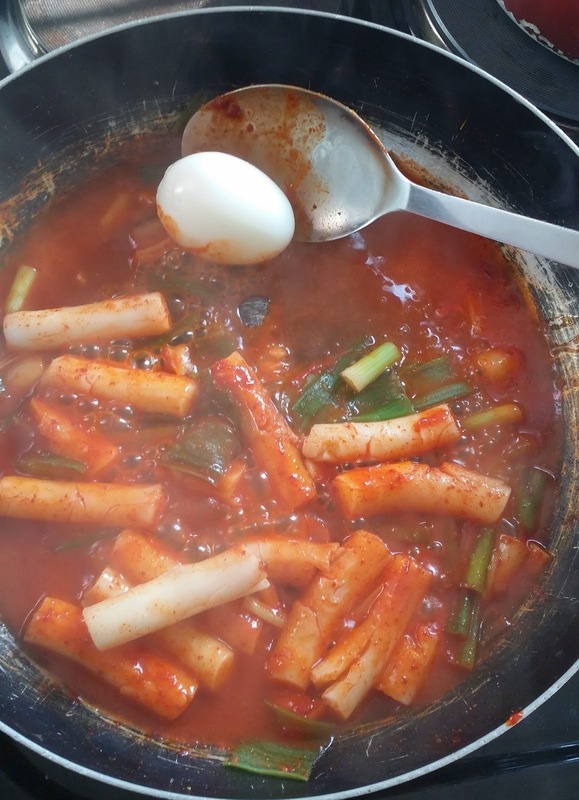 I've previously made very successful ddeokbokki for quite a few people (it was just like what you'd have in an authentic Korean restuarant) using Maangchi's awesome recipe. So, to be honest, I wasn't quite sure on how this was going to turn out as I was making it but it turned out awesome! 1. 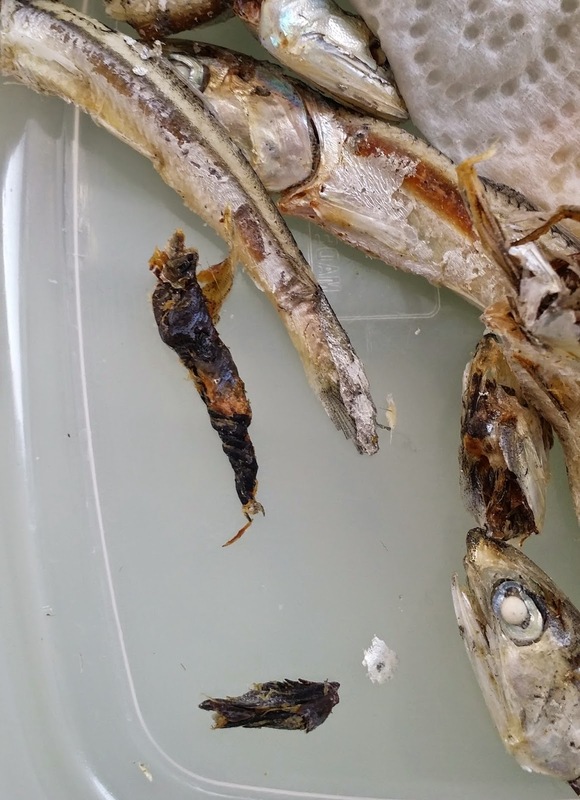 Remove head and guts from anchovies. 2. 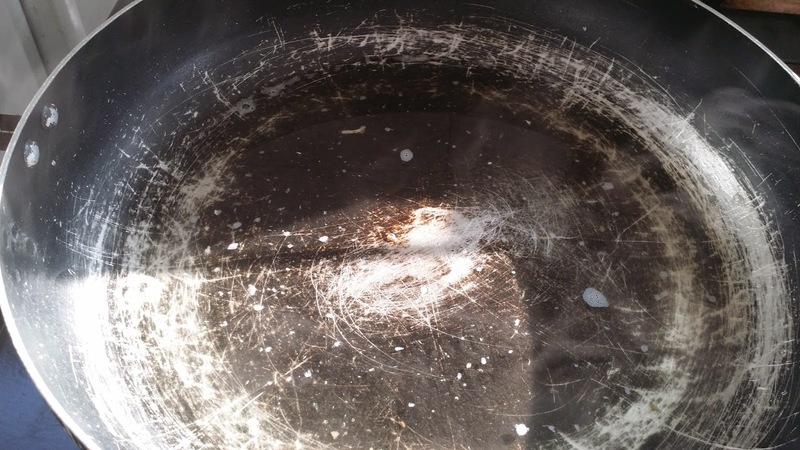 Add anchovies and kelp to shallow pan of 2 cups of water and boil on high heat for 15 minutes. 4. 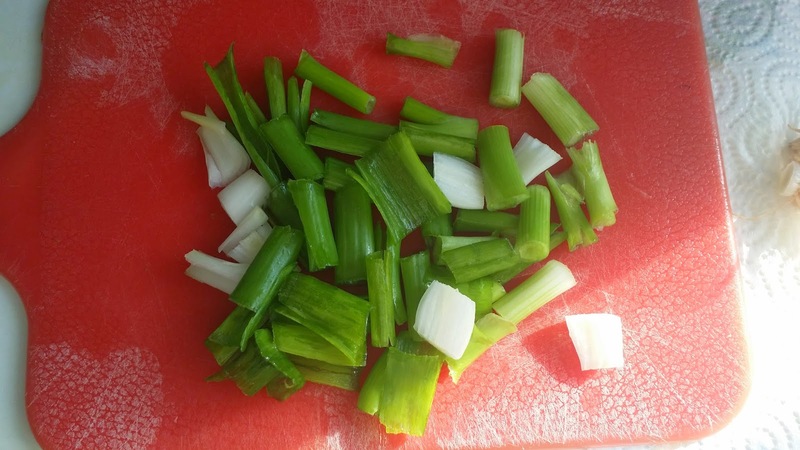 Cut up green onions into pieces. 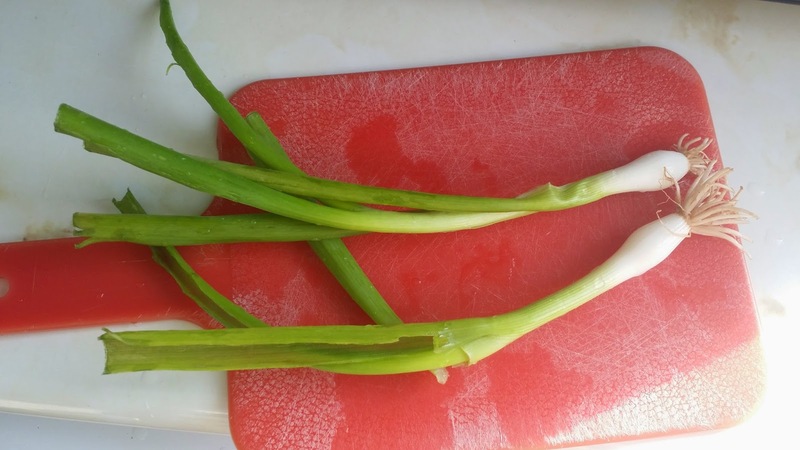 Cut them in the way you’ll prefer to eat them. 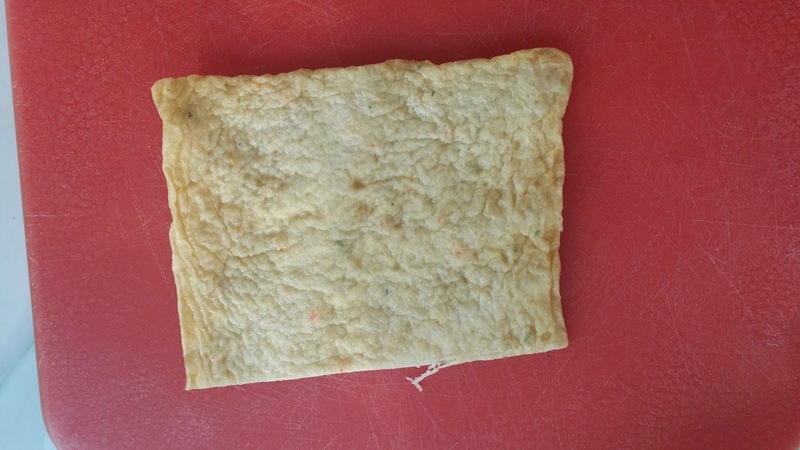 If the white part is too thick, you can cut it in half. 5. 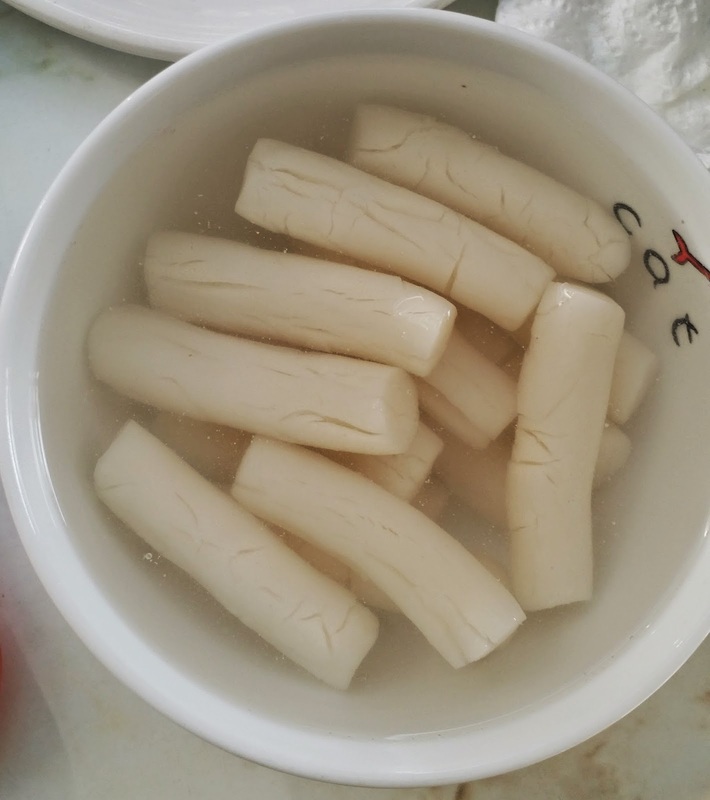 Cut the fish cake into slices (again it depends on how you want to eat it. 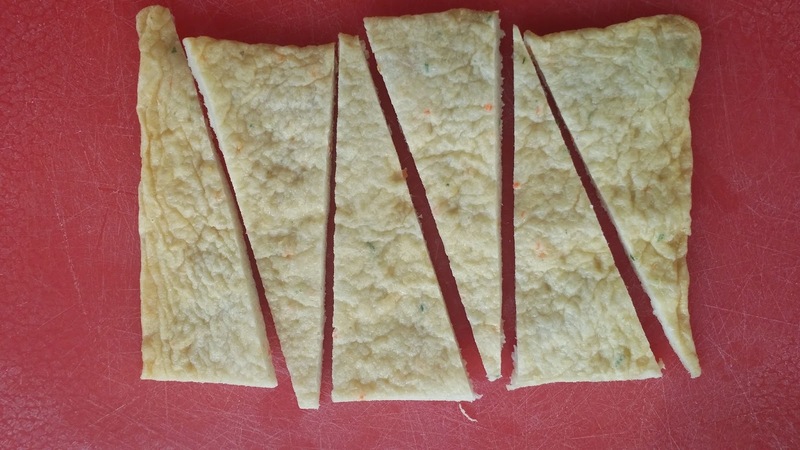 I like to cut them in long triangles). 6. 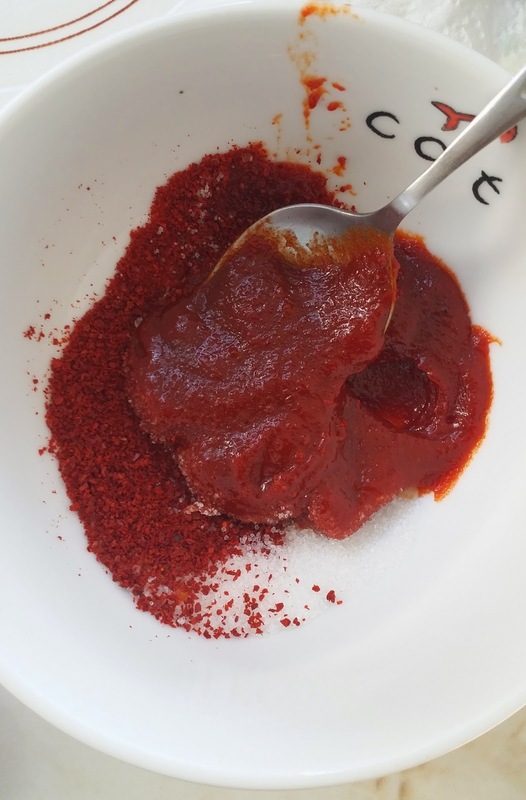 Prepare the sauce: in a bowl, mix the red pepper flakes, red pepper paste and sugar together. 7. 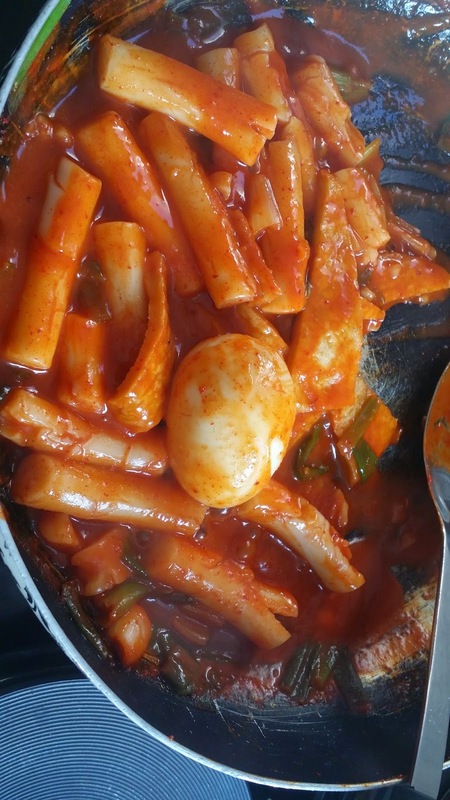 Boil an egg (optional). 8. 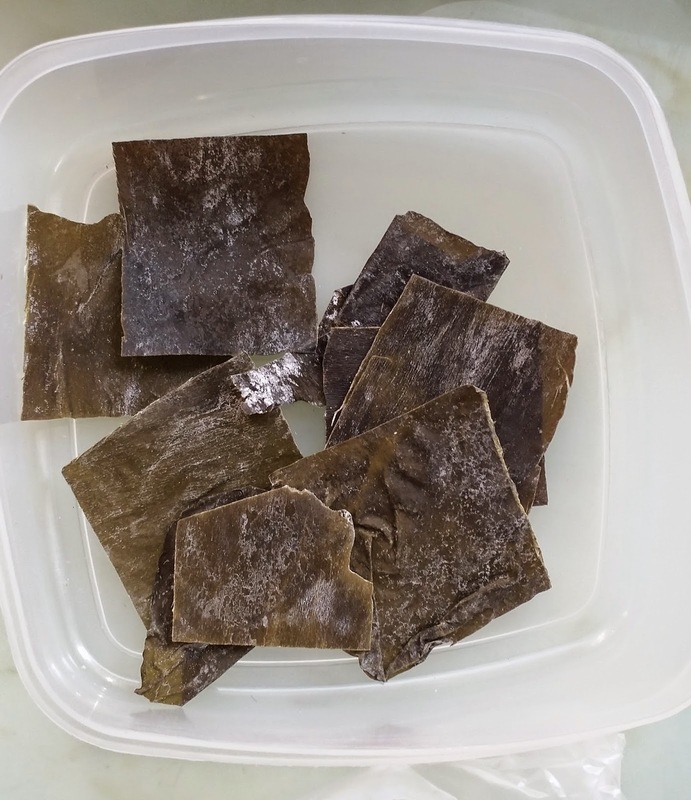 After 15 minutes of the stock boiling, take out the anchovies and kelp (you can eat them as they are). You are left with a delicious broth. 9. 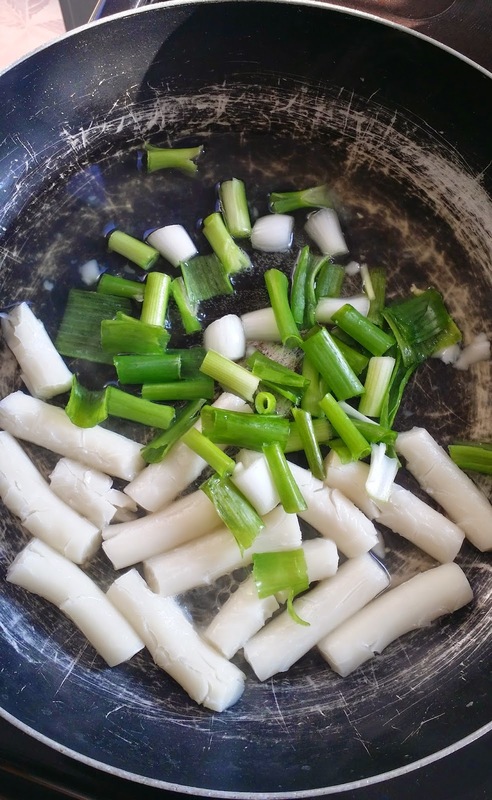 Turn down the heat to medium-high heat and add the rice cakes, green onions and the sauce. 10. 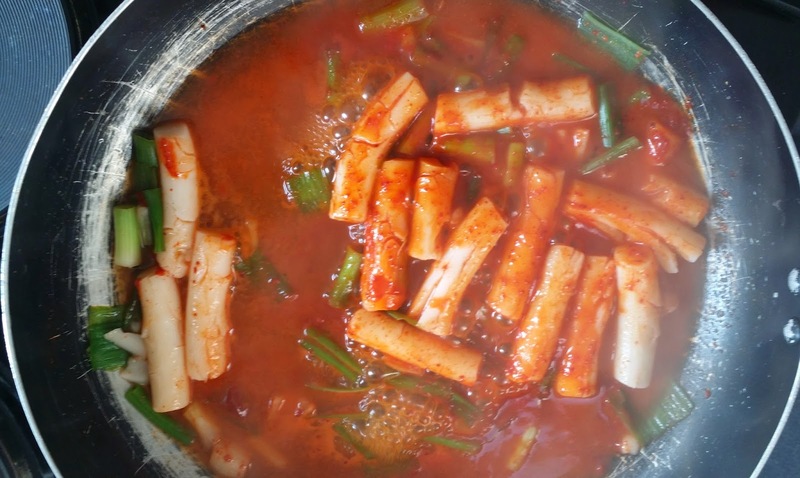 Cook for a while, stirring and when the rice cakes are softer, add the fish cake slices. 12. Transfer to a bowl or plate. Optional: Sprinkle toasted sesame seeds.